Following allegations of sexual abuse and misconduct, Netflix has taken the decision to sever all ties with actor-producer, Kevin Spacey. “Gore” was a biopic of writer Gore Vidal staring Spacey that had recently wrapped shooting. MRC, the production company behind “House of Cards,” also confirmed that Spacey is off the show. Spacey has been accused by several men — including many who were underage at the time — of sexual harassment and assault. CNN reported that eight current or former House of Cards workers claim that Spacey made the production a “toxic” workplace and one ex-employee alleges the actor sexually assaulted him. Spacey has not yet been arrested or charged with any crime. Representatives for the actor recently said that Spacey will “seek evaluation and treatment” following the series of sexual misconduct allegations against him. Spacey’s agency and publicist have reportedly dropped the actor. Netflix had previously halted production on “House of Cards” and announced that the upcoming season, its sixth, would be its last. 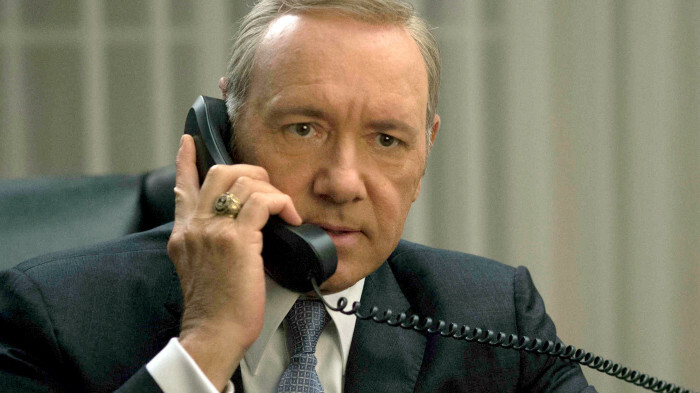 Producers were also reportedly talking about killing off Spacey’s character, Frank Underwood. Spacey is the latest high profile Hollywood figure to lose work and standing in a wave of sexual harassment that began when dozens of sexual harassment allegations were reported last month against film mogul Harvey Weinstein.